I sent Sue a PM to ask her where she got her jeans and she told me they were MiH ones...cue disappointment as I'm never going to spend that much on jeans realistically. 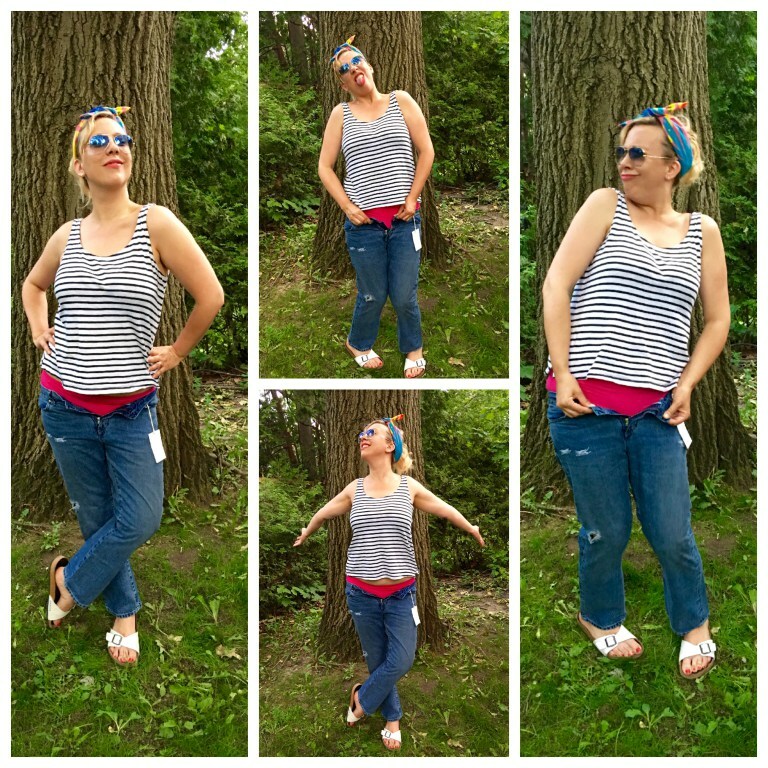 Because Sue has been such a great support to Flic and her blog, Flic offered to send these jeans to Sue as a gift. (It's interesting to note that many of the good sides to Social Media involve my friend Sue....she's not only a lovely genuine person to follow but she attracts similarly lovely genuine people). Anyway, the jeans arrived from Flic but then Sue went and got all skinny and now has the same jeans in a smaller size. So back to the first picture of Sue above. 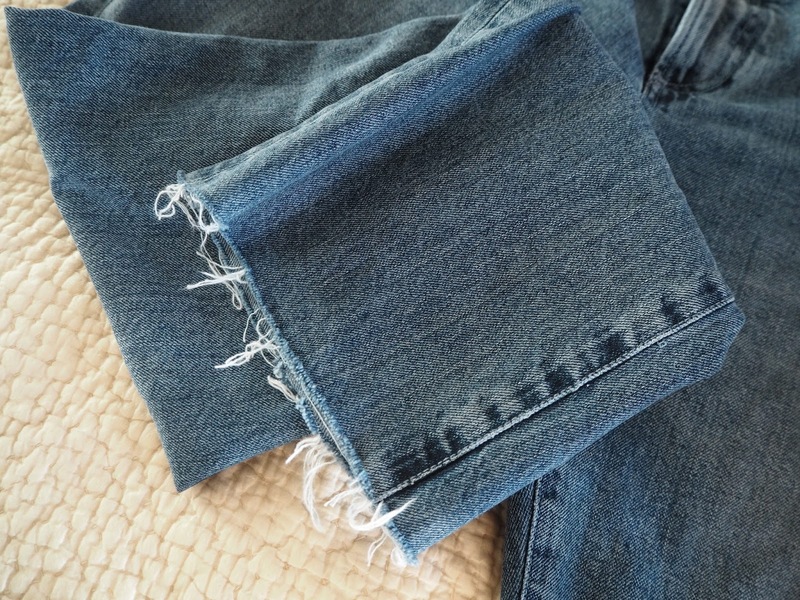 When I asked about the make and model of the jeans she was wearing, Sue said she still had the larger pair and in the same gesture of kindness that was shown to her by Flic, she was going to pass them to me in the hope that they would fit me. I'm not kidding you - they fit like a glove. 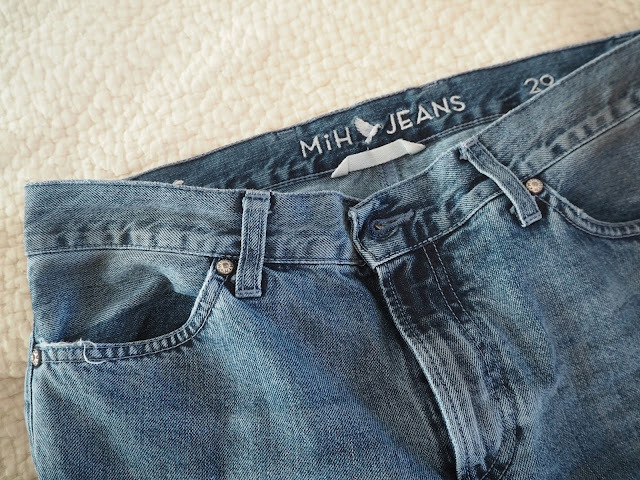 Of course it raises the question, is it worth paying the price for premium denim? I'm still on the fence. I have expensive and highstreet pairs and there's not always a big difference. There's another blog post there...leave it with me and my LONG list of things I should blog about. I LOVE everything about them. 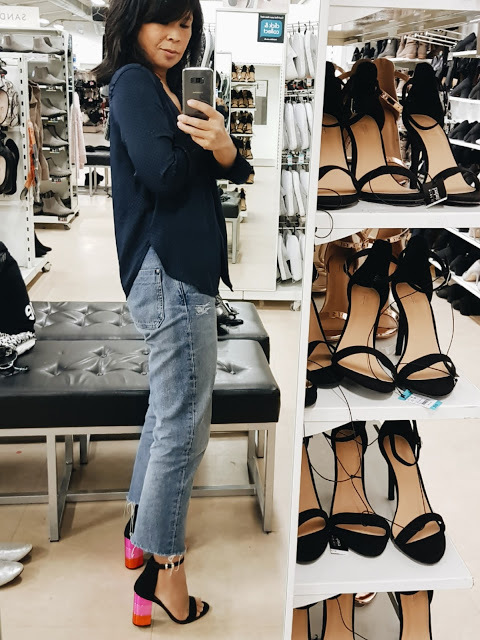 The distressing, the shape and the fit but most of all the story....the fact that they've travelled to me via two amazing women and they epitomise all that is good about Instagram & blogging friendships. So by way of thank you, here's a huge shout out to Flic and to Sue. Please go and show them some blog and Insta love. Ending with Sue's hashtag.... #thesisterhoodofthetravellingMiHJeans...sums it up nicely.